We have seen the stories in the news, a child brutally attacked by a dog or farmer’s livestock killed or injured by a stray dog. We agree that something must be done to protect our communities from dangerous animals, but unfortunately we do not agree with some of the proposed solutions to this problem. When faced with this dilemma, many lawmakers turn to breed-discriminatory legislation (BDL), also known as breed-specific legislation, as a possible solution, especially right after extensive media coverage of the event. The American Kennel Club® (AKC) agrees that communities must be protected. This is exactly why we oppose breed-discriminatory legislation. It creates extra burdens on the government and dog guardians, but doesn’t solve the underlying problem — irresponsible ownership and the threat to the community. BDL is akin to racial profiling. It unfairly penalizes responsible dog guardians without holding those with truly dangerous dogs accountable. It also stereotypes certain breeds, without regard to the wonderful, positive roles they can perform in our society. For example, a number of the dogs commonly placed on banned lists are used as therapy dogs, search-and-rescue dogs, police/military working dogs, and service dogs for the disabled. Around the world, governments are recognizing the inherent problems with BDL and revising their dangerous dog policies. Italy, for example, blacklisted more than 90 dog breeds, but repealed these policies after six years of costly enforcement and ineffectiveness. 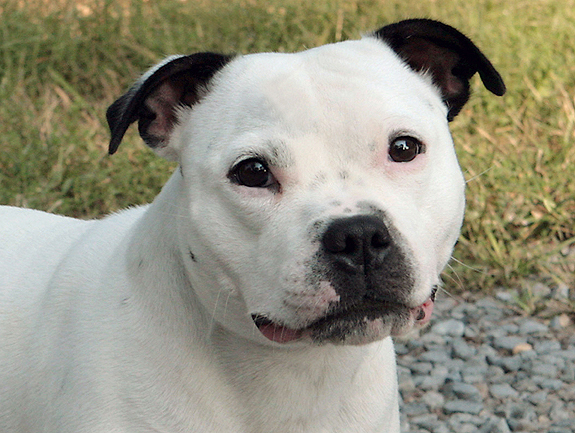 In June 2009, the Dutch government removed its pit bull ban after determining that it did not decrease dog bites or improve safety in the Netherlands. 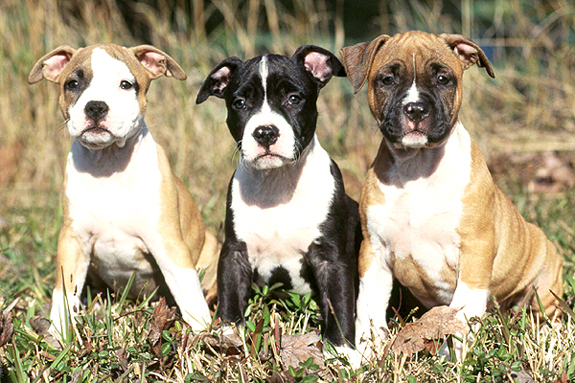 Great Britain has a measure currently pending in the House of Lords that would repeal the pit bull ban implemented 20 years ago. In the United States, the AKC finds that BDL is among the most prominent of all dog-related legislation. This is especially true on the local level, where so far in 2011, almost 50 percent of the proposals we are addressing in cities and counties have a breed-discriminatory component. Two statewide and several local BDL proposals have been defeated, but it is clear that responsible dog guardians still have some work to do to educate lawmakers and the public about why this is a bad idea, and what would be a more effective solution. There are a number of inherent problems with breed-discriminatory legislation. Banning a specific breed punishes responsible dog guardians who have well-trained dogs of that breed, while irresponsible owners will either ignore the law entirely, or simply choose another breed. What happens then? Often, lawmakers will simply add breeds to the list. (That’s how Italy ended up with their 90-breed list!) Saginaw, Mich., just passed a law that requires the city to update its list of breeds every year, so from year to year guardians may or may not have a “dangerous dog,” depending on whether their dog’s breed makes the list. These laws also require animal control officers to become breed identification experts to determine whether a dog is actually one of the restricted breeds or not. BDL also ends up costing communities a significant amount of money. Many people will leave their dogs at local shelters because they are no longer permitted to own them, or are unable to comply with the strict regulations imposed on them. Since Denver imposed it’s pit bull ban, for example, the number of these dogs in the shelters increased by more than 800 percent. These dogs are housed, and unfortunately often euthanized, with taxpayer money. Strict enforcement of animal control laws (such as leash laws) and guidelines that clearly define dangerous behavior in all breeds are more effective in protecting communities from dangerous animals. These laws should also impose appropriate penalties on irresponsible owners and establish a well-defined method for dealing with dogs proven to be dangerous. The AKC also believes that public education is essential. The Journal of Animal and Veterinary Advances found that the time a guardian spends caring for and training a dog is directly related to a dog’s behavior. Taking the time to properly train your dog, and encouraging your friends and neighbors to do the same, makes a difference. Consider taking the AKC’s Canine Good Citizen® test and participating in AKC Rally®, Obedience or Agility events. If BDL arises in your community, use these activities to demonstrate that you are a responsible dog guardian and should not be punished for another dog’s (or guardian’s) actions. If a community truly wants to fix the problem of dangerous dogs, then it needs to abandon the idea of breed-discriminatory legislation. It has been proven that communities that have enacted BDL get unenforceable and costly laws, but no solution to the problem. Addressing the issue of irresponsible ownership is a much more effective method of animal control. If you are fighting BDL in your community, the AKC Government Relations Department can help. We can assist in connecting you with local AKC clubs and dog guardians to help fight it, and provide a wealth of materials to distribute to lawmakers. Contact us at (919) 816-3720 or [email protected]. The challenge in rectifying this injustice by enacting behavior-specific legislation in place of breed-specific laws is that it will require lawmakers to listen to reasoned arguments and think for themselves. Demagoguery has become so much the norm with politicians that they will jump in the direction of any hysterical proposal that has its basis in some tragic story. “If it will protect just one child…” has been the impetus for almost all the useless, counter-productive and freedom-killing laws in this country, from dog laws to driving laws to “gun control” laws. As dog trainers, who understand the behavioral process, we need to implement ways to get our elected officials free of the conditioned responses that result in foolish lawmaking. @StanModjesky Thank you for your comments, and that last line tells it all. Let’s hope we can all help implement change. It has many links and is a good resource for your BSL research. Sorry, this is a really late, late comment but I could not let this pass. The AKC’s insistance on passing out registration papers to puppy millers (come on…. if one facility registers 35 litters in a year what does the AKC “think” is going on) has been the cause of more animal sufering than BSL ever will. In light of that I’ll thank the AKC to not “help” my breed of choice. It’s never too late to keep this discussion going.I am no fan of AKC, if only because of their insistence upon banning mixed breeds from obedience, flyball and the other action sports. AND YET, if you submit a photograph and ask nicely, AKC will issue you an Indefinite Listing Privilege (ILP) certificate, if someone thinks the dog appears to be a particular breed. That negates the entire concept of “purebred” dogs, especially now that so many breeds can be identified via their DNA profiles. We used to refer to the ILP certificate as the “it looks pedigreed.”And while AKC is not directly responsible for setting the detailed breed “conformation” standards, they are a willing participant in allowing some of those standards to morph a useful dog breed into some really bizzaro fluff ball. It’s been less than ten years since the Border Collie was recognized by AKC, and it will be interesting to watch the metamorphosis of these brilliant but not especially beautiful dogs into another four-legged variety of dumb blonde.